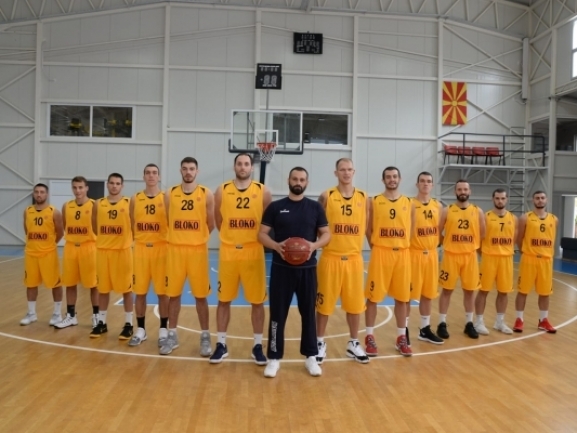 KK Blokotehna started its season in the Balkan League with a win. At home in Gevgelija the local team defeated the shorthanded BC Academic Bultex 99 89-74. The visitors missed three of their key players in Daishon Knight, Mladen Vitkovic and Nikola Vujovic but still managed to play a good game and stay close for 34 minutes. In the end though the hosts did took advantage of that and closed the game much better. In general their biggest advantage was the three-point shooting as they scored 13 from 30 attempts while the visitors were just 4 of 25. Next week Blokotehna will travel to Durres to meet KS Teuta while Academic, which now has 2-3 record, will host Kozuv. The first three minutes were even and then Blokotehna managed to make a big run. The Gevgelija team scored 11 straight points which gave them their first double-digit lead of 14. Until the end of the first quarter the visitors managed to cut some of the deficit and in the second they stayed close and the difference at the break was 7. The third quarter was tight as both teams fought really hard. Despite being shorthanded the visitors didn′t allow the hosts to pull away and stayed close which meant that the game would be decided in the final ten minutes. With four minutes played Academic cut the deficit to just 5 points but then the hosts answered with a 14-1 run which decided the outcome. Danilo Mijatovic was unstoppable and finished with 37 points. Marjan Mladenovikj had a good game with 15 points and 9 assists as Povilas Gaidys had 14 points. The visitors were led by Vasil Bachev who finished with 21 points. Aleksandar Gruev did well by adding 18 points as Peter Olisemeka had a double-double of 17 and 15 rebounds.